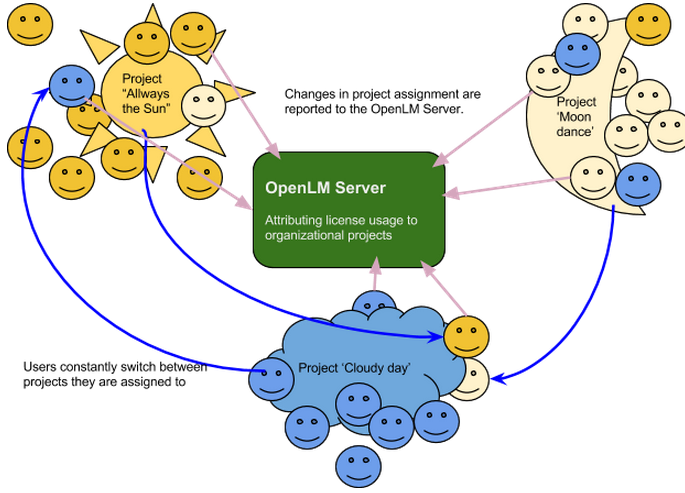 OpenLM is able to record information about the usage of various licenses and attribute it to different company projects. This ability facilitates license allocation according to organizational projects, and can also serve as a mean to effectively charge-back license usage expenses according to these projects. This ability complements OpenLM’s license monitoring capabilities; integrating license usage optimization with Active directory synchronization. For more information – Please refer to this Application Note.